Is an increase in immorality a sign of the end times? 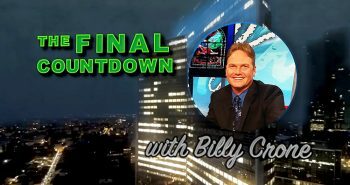 Brian Thomas: Things are definitely accelerating today in the world as far as Bible prophecy goes, and we are seeing so many fulfillments of these prophecies. But, one thing I do have to ask is, “Are we getting ahead of ourselves?” Sometimes those of us like myself who are very excited about the return of Jesus Christ sometimes have a tendency to read a bit into things. So, are we seeing the true fulfillment of these prophecies? And, what may be things still to come? To answer these questions, we’re going to look particularly at twelve signs of the times that the Bible told us to look out for which would reveal to us that we are truly living in the last days. A lot of these signs we are going to look at were actually prophecies that came out of the mouth of Jesus Christ during His time on earth. I want to begin with is the increase in immorality. The Bible tells us in 2 Timothy 3:1-4 that this would be a mark of the last days. Briefly it states, “But mark this, there will terrible times in the last days. People will be lovers of themselves, lovers of money, boastful, proud, abusive, disobedient to their parents, ungrateful, unholy, without love, unforgiving, slanderous, without self-control, brutal, not lovers of good, treacherous, rash, conceited, lovers of pleasure rather than lovers of God.” Have we arrived to the point that these signs of immorality are currently being fulfilled today? Nathan Jones: I believe so, Brian. 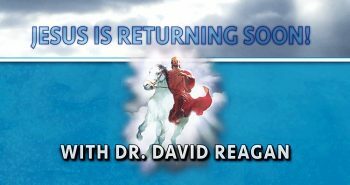 When we talk about the signs of the times given in the Bible which Jesus and the Apostles and the Prophets told us about, we have to also take into account that these signs we are told will come more both in frequency and intensity the closer to when Jesus returns at His Second Coming. We merely have to look over the last 100 years or so to see they are certainly increasing in both frequency and intensity. Jesus in Matthew 24:8 called this escalation of signs “birth pains.” The term is an illustration based on how a woman goes through labor. As the labor pains come on during the delivery, they occur more frequent and more intense until the baby finally comes. That is what the world is going through right now. 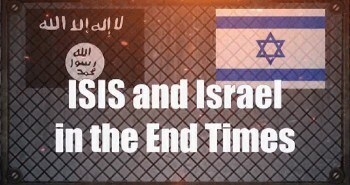 One of the main types or categories of end times signs is the increase in immorality. If we go to Matthew 24, which is one of the best chapters for knowing the end times, Jesus explains in pretty thorough detail what the moral condition will be like coming upon His Second Coming. In verses 37-39, Jesus declares, “As it was in the days of Noah, so it will be at the coming of the Son of Man.” We know from the Bible that the days of Noah were very lawless and the society was very hedonistic. The Bible even says that Noah was the only righteous man alive at the time! And so, the closer we get to Jesus’ return, society will continue to become more and more like Noah’s immoral time period. We can learn from 2 Timothy 3:1-4 just what an immoral society looks like. This passage even points out to the return of such a society by beginning with, “But mark this: There will be terrible times in the last days.” The first characteristic is that the people will become lovers of themselves, so much so that the love of most will grow cold, as Jesus stated in Matthew 24:12. Without love, immorality then will just flourish. We are seeing this lack of love all over the world today with high crime, with senseless violence, and with no love shared between parents and children so that there’s child abuse and abortion. We are seeing lawlessness and corruption at every level of government. We are seeing countries that are ruled with iron fisted dictators. And, sadly, even the Western nations which have historically been such bastions of freedom are quickly falling apart due to immorality. Brian Thomas: If anyone is a little skeptical as far as the proof that there’s an increase in immorality, I just want to read a little bit of the research that I’ve found. There was a record 41% of babies born to unmarried woman in 2008 in the United States of America, which is up from 28% in 1990 and up from 18% in 1980. The trend continues worldwide with the European Union’s out of wedlock births at 35.1% in 2008, which was up from 25.1% in 1998 and up from 17.4% in 1990. There are a lot more statistics out there showing an increase in immorality, but basically what these birth statistics are showing us is that there has been an increasing trend in children being born to unmarried woman, which obviously means there is more fornication going on, which the Bible speaks against. This statistic is one of many examples of immorality increasing in the world. Statistically, we definitely can see that we are living in an increasingly immoral time period which marks the end times. Nathan Jones: I used to live in Philadelphia for a number of years. It is a very violent town. Instead of it being called the “city of brotherly love,” it should be called the “city of brotherly shove.” My mother grew up in Philadelphia and she would tell us stories of when she was seven years old. She would get on the bus by herself and go downtown and she would do a little shopping with some friends maybe before she would come back. She said she never had to worry about crime or violence or being molested or anything horrible like that. Now that I have children who are that age, I worry about them just going down the street to the local park because it has just gotten so bad with the crime and everything. I worry about all the child molestation and the abuse going on. Even though we call our own society a “Christian” society, it is awful. And then, when we read about some of the other countries that have no Christian foundation whatsoever, living means for them that they are constantly watching their backs. We can simply look at the trends going on even during our own lifetimes now that we have lived while enough and can claim that, though I’m not saying that we are even very old, Brian. You know you can see this increase. It is just getting worse and worse to the point where you fear for your family and sometimes for your life all of the time. I agree, this increase in immorality is definitely supported by the statistics. Speaking of getting worse, after Jesus comes to Rapture the Church up to Him, there will be seven years of tribulation which will befall the planet. During those seven years called the Tribulation, that is when the world will really see lawlessness and immorality radically increase until the day Jesus returns at the end of those seven years. We on this planet are definitely on that steep decline into total immorality, but it will exponentially explode once the Church is no longer here to be a restraining influence on the immorality in the world. Brian Thomas: It sounds to me that what you are saying is that some of the signs we are seeing are actually building even today, though we haven’t yet come to the Rapture of the Church. You are a Pre-Tribulation Rapture believer as I am myself, and so we believe the Rapture of the Church occurs before the Tribulation. So, once the Rapture has occurred, the world will see immorality escalate even moreso until the Second Coming of Christ which will happen at the end of the Tribulation? Nathan Jones: Correct. During that Tribulation time on earth, God’s judgments will be poured out on the earth because of its great immorality and sin. We can read in Revelation 22:15 where outside of Heaven dwell the “the dogs, those who practice magic arts, the sexually immoral, the murderers, the idolaters and everyone who loves and practices falsehood.” That passage lists some of the aspects of the great immorality that goes on outside of Heaven. Immorality will greatly increase in both frequency and intensity leading up to and throughout the Tribulation mainly because 2 Thessalonians 2:3-7 talks about the removal of the Restrainer, which is a restraining influence that God has placed on this planet that keeps it from getting as bad as it could be. I believe the Restrainer is the Holy Spirit’s work through the Church, because once Jesus removes the Church then He is also removing a major restraining influence on the earth. Obviously, the Holy Spirit works during the Tribulation because people are getting saved. We need the Holy Spirit to get saved, so He is not being removed from the earth. With the removal of the Restrainer the world will endure an unprecedented amount of immorality. All the evil that believers in Christ have been trying to hold back won’t be there anymore, and the world will instantly become a moral cesspool. It’s just awful to think about. The next end times sign we’ll look at is the ever blooming hope that the Rapture brings. Apologies for straying from your article. Have you heard of “Shadows of the Beast” by James Jacob Prasch? As I am short on time, I hope you don’t mind if I copy and paste what I placed on Seans site? “…I sent for Jacob’s book and received it this morning. I have only read the 'The Great Myth' so far, which, as far as his comprehension of the Pretrib position, is a great big MYTHSTAKE! Included in this is his declaration that he holds to ‘IMMANENCY’ the definition of which is ‘existing in all parts of the universe’. No doubt Jacob means ‘IMMINENCY’ which is a ‘pending event’ that was held by the disciples and their context concerned the Rapture, not their ‘any moment death’. For such an intelligent man, closely associated with many Pretribs, I am stunned and amazed at his misrepresentation of the Pretrib position. My original opinion still stands; he is very confused what Pretrib ACTUALLY teaches, even allowing for some variations. Quoting from Walvord, upon whose shoulders Pretrib now stands, is 'living in the past'; we have learned much since his valuable studies. 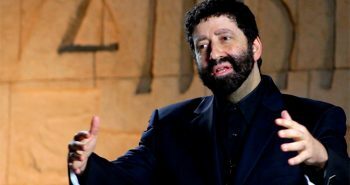 He says that we Pretribs in the West are telling people we will not go through 'Tribulation'; then when 'tribulation' comes they are unprepared. Jacob is failing to make the distinction between tribulations we ALL go through (some worse than others) which is what Jesus meant – and THE Tribulation of Daniels 70th Week in Chapter 9. 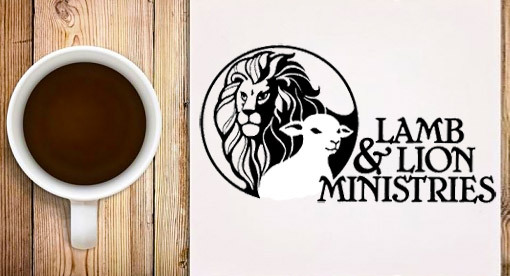 Daniel's 'man of lawlessness' is revealed when Jesus breaks the first seal in Revelation which is when THE covenant is made strong and that very act reveals who a/c is to those who believe AFTER the removal of the removal of the Church. Don’t forget the two witnesses AND the 144,000 are employed preaching the gospel of the kingdom at the start of the FIRST 1,260 days. It HAS to be from the start of the ‘Seven’ because the revived a/c kills them in the MIDST of the ‘Week’. MANY will hear (and remember) the gospel truth and believe IN Christ for Salvation. It is these we see under the altar, NOT the Church who COULD have been raptured years before the Restrainer is taken out of the way. She isn't 'abandoned' by God the Holy Spirit, she has been TAKEN by her bridegroom God the Son. I am sorry this is so frenetic; I have so much to do but needed to get at least one thing off my chest! There is so much more from just his opening statements. Just to reiterate that apart from this composite error, I have MUCH love and respect for Jacob Prasch. P.S. I do hope Dr.Reagan writes an opinion about this latest Pretrib criticism. I've sure been hearing a lot about Jacob Prasch this week. Sue, I was aware of his position. I was considering buying his book but did some research and opted out. Usually I do read the opposition coz it keeps me in check. The tribulation thing amazes me. Don't they pay attention to what pretribbers actually teach? And, once again, how does one prepare for tribulation in the first place? It was good to see that Sean Osborne now shares the same belief that I also hold concerning the Rapture in his latest entry on his blog. The Apostle Paul makes it clear in 2 Thessalonians 2:1-3,that there are two required events before the Rapture can take place, 1)Falling Away (Apostasy) 2)Revealing of the Son of Perdition. This of course also eliminates the popular misconception found in the Doctrine of Imminence. Praise God for such a good Berean. The transition point he addressed will occur at the conclusion of the Gog/Magog battle which is referenced in Ezekiel 39:29 detailing the Holy Spirit being poured out upon the house of Israel. The Apostasy we now view increasing among the Churches also rapidly increases the Spirit of AntiChrist or lawlessness ultimately leading to his revealing. The increase in immorality and apostasy are two signs that indicate his rise is near as well as our exit. Yeah, I saw that and it frankly confuses me. Normally I don't waste money on other timings. The thing is; Jacob is a 'diamond in the rough' with a heart of gold surrounded in barbed wire; but he gets things done, and said, that others are too wary to handle. I have heard him speak a few times and he makes the rafters shake, I can tell you! At least I can now see the mud in the waters not just suspect it. Glancing through, the rest does look promising, but I first have to get over the disappointment of zilch scholarship resulting in flaccid reasoning with a vain penchant to ‘shout down’ his opposition to Pretrib; couched as it is in as many ripe words and disembowelled phrases he can manage to string together. Without the verbal diarrhoea, the book would be much less bulky; after all, I can always read the dictionary should I feel inclined to douche my brain with an assortment of wet literary devices. Anyway, deduction is also a part of logic and is Biblically valid as MUCH Scripture is inferred when not categorically stated. I am too tired to give an example, but what about being told to ‘judge’; that’s deduction – isn’t it? At least Pretribbers make ACTUAL use of grammar, history and context and don’t just talk about it. "He ‘accuses’ us of admitting that we ‘cannot prove it with a single verse or passage by any ‘inductive exegetical means’." I still like what Jacob is doing in other areas but I'm really tired of the diatribe spewing from the prewrath/postie camp. And you're so right; it really is a case of the pot/kettle black thingy. Give me one verse that proves either post or prewrath. God back and read it again, that is not what Sean has said. 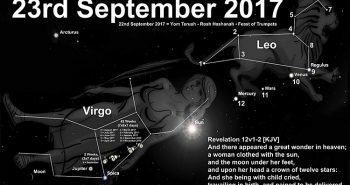 2Thess2 context is about the 'day of the Lord' being PRESENT; it isn't about the Rapture timing at all. Imminency is totally unaffected – I have just posted a quick comment about this with Sean.Please take a look at the links I offered him on his site. I do believe you are incorrect on this matter E.I., the meaning is clear. E.I.,The Lord commends believers to Watch and to Pray, if the Rapture were a signless and imminent event, then what are we watching for? The context of 2 Thessalonians 2:1-3 is clear as believers there are two specific events that must take place before our exit, the Apostle Paul identifies them for us. A believer is promised deliverance from the wrath of the Lord, surely we are not watching for the Second Advent, we are instead anticipating the coming of the Bridegroom. The Doctrine of Imminence is a fable, plain and simple. I clicked on the image next to your name and it said "Bethlehem Lutheran". I quit going to a Lutheran chuch after a liberal female pastor starting promoting tolerance of homosexuality and refusing to use male pronouns found in the Bible (for example calling Jesus "the one" instead "He/Him"). I then checked the ELCA website and learned the Lutheran Church under their control is bascially evil. I hope your church isn't like that. Billy, no, I only use that pic for the quote. EI, you're correct re 2 Thess. Not sure why Sean is taking that stance. Sean has taken this stance because it is correct, not based on conjecture or assumptions. The Rapture is not a signless event and we being the children of light and of the day, that day will not overtake us as a thief. Everything you have said about what I posted on my blog is 100% incorrect. You are a grandiose fibber. World-class in fact. What part of "this is some truly heavy fare that will require significant Berean study, commentary, and probably some editing in the process. I am not really teaching anything with this post, but rather I'm as much learning in this process as are those who are reading this for the first time" did you not fully comprehend? You have been banned from posting on my blog, so you come here to post your garbage. I guess that speaks volumes about your own website traffic. Oh well, I hate when that happens. It's like golf; par for the course. Revelation 3:10 (message to Philadelphia church) "Because thou hast kept the word of my patience, I also will keep thee from the hour(tribulation) of temptation(testing),which shall come upon all the world to try them that dwell upon the earth." This is the word of God. This is followed up with his ‘proof’ Scripture in the NASV of 2Thess2:3 isolated from its CONTEXT of preceding and proceeding verses. Astonished gasp at this production of his own ‘reductio ad absurdum’ of a NON-LITERAL interpretation! Wow Jacob, I know you have been poorly, but what a load of old cobblers! Pray do tell what *IT* refers to? 2Thess2:2 that you not be quickly shaken from your composure or be disturbed either by a spirit or a message or a letter as if from us, to the effect that THE DAY OF THE LORD HAS COME. Paul plainly states that *IT* is ‘THE DAY OF THE LORD’ and says nothing about *IT* being the ‘Rapture and Resurrection’ of the Church. That is as blatant a piece of eisegesis that I have ever read! ‘THE DAY OF THE LORD cannot happen until the ‘man of lawlessness’ is revealed’. The objective statement is NOT directed at the Rapture. The grammar and the historical background makes this certain. I've heard some ministers say the "falling away" is the current apostasy in the Church. But, the context of 2 Thessalonians 2 concerns the Day of the Lord, what Jeremiah 30:7 calls the "time of Jacob's trouble," which we identify as the Tribulation. The Day of the Lord, Paul is assuring the Church, will not happen until the Antichrist is on the scene in a great rebellion or falling away from God. Paul earlier gives the Church of Thessalonica and all believers encouragement in the hope of the Rapture that we will not live into this terrible time (1 Thes. 4:18). And so, the "falling away" of 2 Thessalonians 2 cannot be referring to the Church Age. In 2 Thessalonians 2:8-11 explains that God is in part behind the "falling away," as one of the effects of the Antichrist's rise to power is a delusion God allows the world to believe in since they continue in unbelief, probably even denying that God was behind the Rapture they just witnessed. Like Pharoah during Moses' time, God hardens their unbelieving hearts so that "all will be condemned who have not believed the truth but have delighted in wickedness" (v.12). Nathan, you ain't just a pretty face after all. Before my aunt of 82 years of age died recently, she mentioned how much fear she had in living alone and going out. She asked me what is happening; it was a good time to witness to her about the end times. The information was too much for her but one thing she said that would point to the truth of it was the immorality she has been witnessing in her older years compared to her childhood days. My mother is 92 this year and constantly astonished by even the things her own sons do. She stated she knows she raised them right so she just does not understand their selfishness. Again it was a time to witness to her and she most heartily agreed that immorality was far worse than anything she has seen in her life time and that this is no longer the America she new growing up. It so saddens her, she prays daily for the Lord to come take her home. I have a 20 something daughter and am very fearful for her in some ways but in others grateful for the legacy of faith to pass on. Are u sayng dat the falling away is different from the apostassy of the 7 revelation churches? The aposassy we now experience is different from the falling away? So how is it that church is so apost now if not due until Tribulation? Surely falling away relate to fall from the faith, the one to be contended for in Jude. Sorry to hear that – the fact is we have all been posting together for such a long time we know how each other thinks without stating the obvious. Oooo – sour grapes me lad! TEACHERS are one of the GIFTs The Holy Spirit has given to the Church for those of us who do not claim to know everything there is to know. Now! How's that new bairn of yours doing – well I trust? In a round about way I think Rodney has a point. In Dark Ages common person didt have Bible which led to apost and hersy. God wants everyone to know Him and has given Bible to all us. Surely God wrote Bible for everyone to un derstand in simple truth – even for the simple. Not everyone can learn Greek and orignl manuscript. Impression given on this site dat we need to understand the greek to properly interpret Bible. That was tactic used by Catholic Church in dark ages to keep catholics from reading the Bible. If we are in deception times then how do we know that the "experts" are giving correct Greek translation? No, the Bible context and compare scriptures and the guidance of the Holy Spirit should give us correct interpretn without needing to learn greek SURELY? No one HAS to come here if they don't want to. If anyone doesn't like our desire to 'test the spirits', then its best not to come here and be unhappy. We aren't forcing our understanding down anyone's throat so why try and insist we do things your way. Someone HAD to learn the original languages in order to translate them into the worlds languages so we COULD read them for ourselves – but many Bibles are bad INTERPRETATIONS rather than a direct translation, in checking the truth, we are obeying The Word to STUDY to show ourselves as approved workman RIGHTLY dividing the Word of Truth. If you don't agree – that's your choice but we will continue to do as instructed by God's Word. STUDY! "study to show yourself approved"
is referring to comparing scripture with scripture so that an interpretation is in context with the rest of the Bible. It is nothing to do with studying Greek. Everyone is called to rightly divide the Word of Truth – not just Greek and Hebrew scholars, otherwise most of Christendom would be failing that command. Am I failing to rightly divide the Word of God by not studying the Greek? Confused was correct to state that we are complicating things. Rodney, how are we supposed to be a witness for Christ when you post such bitter accusations against your Christian brethren? I've deleted your comment. For a guy who believes he has all the answers, your witness stinks. While we certainly don't all need to know the Greek and Hebrew to understand the Bible, knowing it sure breathes life into many passages. You've heard the term "something lost in translations," right? That's so true of the Bible. Doctrinally we're talking a-okay, but there's another depth of meaning with the original languages that's lost when we convert to another language. An example I was delighted to learn in a Hebrew Bible study… we frequently read "the nation of Israel." But, in the Hebrew, in many places it'd me more like "the spirit of the people." See how we have all we need in our English Bibles, but there's a whole other layer of depth when we read it in the original languages? I'm just a novice in the original language studies, so am in the same boat as most of you. Good thing for Strong's Concordence! If a Scripture has a faulty interpretation such as ignoring the Deity of Christ; then getting to see exactly what the original says helps to make the 'dividing' accurate. If only all translations of The Bible, in whatever language, were as correct as the original we wouldn't need a 'belt and braces' approach to study. Its far easier than learning the original languages and reading Scripture in the original to make certain we aren't being led up the garden path. YOU are not being told to do as I do, and I am not judging you for your decision not to bother. So why do you find it essential to be the judge over my walk with my Lord in His Word? It sounds like another case of 'sour grapes' to me – funny that! Your point against using Greek and Hebrew to help in study of Scripture was decidedly judgmental! Since when is explaining or correcting an opinion aggressive? If you mean the CAPS; they are the ONLY way of emphasise – it isn't 'shouting' if that is what you mean? Candidly, you insult Confused that they are unable to speak for themselves. If Confused is offended by my reply to their comment, then it is for Confused to say so, and no one else to interfere. Especially when written from behind the 'skirts' of 'anonymous'. Nathan, you claim my witness stinks. Perhaps this is true with your own limited perception. It should however be clear to you that the understanding of the scriptures is not limited to the title of "scholar" or how many doctorate degree's you have in theology. It is dependent only on our willingness to allow the Holy Spirit to reveal and open its treasure unto us. My personal stance is one of individual responsibility to search the scriptures daily, not follow the interpretations of others simply because they are recognized as scholars. The Pharisee's and even the Sadducee's, were considered the most learned men of Israel during the time of Christ, yet even they were blind to the truth. Writing,discussion,teaching and promoting that homosexuality is normal and gay marriage is good as a life style,which could spread across your country(same as the Nazi and communism propaganda),is a real extermination.Anyone doing that is a deceiver and a destructive person even if he is the president of the USA,and would be better for him if a millstone were hanged around his neck and be thrown into the sea.Many people are following their freedom statue instead of the freedom from sin. Homosexuality is a grave sin and Gay marriage is against God and humanity.Freedom is a responsibility and any misuse of it will lead to a disaster(it was a main issue in the story of the prodigal son who ended up with pigs).No doubt that the freedom statue is winning,but for how long…And I gave her time to repent of her sexual immorality,and she did not repent.Rev 2:21…This generation is like as Noah days and is going to bear the consequences that would be more than ending up with pigs. MORE sour grapes, my your teeth must be on edge. You make an assumption about me and JUDGE it to be right – you are correct Rodney, you are exceedingly arrogant and your 'witness' foul and contentious. I thought it was only an old nagging wife and a dripping tap that was contentious, but it appears that middle-aged men are as well. No wonder Sean booted you off his blog – goes to show what a kind, decent and long-suffering MAN Nathan is not to have done the same. After all, we are told to avoid a divisive man, and boy are you divisive. Get a grip! We've had this discussion before, Rodney, before my moderators banned you from the Facebook group. I think you have a lot to offer to the conversation, but this notion you have that we're all uneducated pleebs unless we come to your conclusions poisons your witness with fellow believers and site visitors. Life isn't all black and white, my friend. Rodney said… "…Perhaps this is true with your own limited perception…"
Rodney, it seems that whenever you get backed into your "doctrinal corner" you viciously attack the person with open insults instead of arguing the facts of the Word!! It also seems that this is the most prominent thing that people remember about you, since you have done this to numerous people on numerous occasions! That, my friend, is what the Word calls a "testimony" or "witness". "Let your speech be always with grace, seasoned with salt, that you may know how you ought to answer every man…", for one, and of course many others, including the "pattern testimony" of Jesus' walk in this world. As I said before "…I feel sorry for you Rodney, that you so full of such sightlessness and venom…"
Nathan's and EI's rebuke, as obvious "elders" in handling the Word here is fully justified: your 'witness', is indeed, "foul and contentious"! You should consider repenting and learning, rather than making phony excuses.